Our luggage has been delivered to our stateroom on board RMS Queen Mary for the crossing to New York. 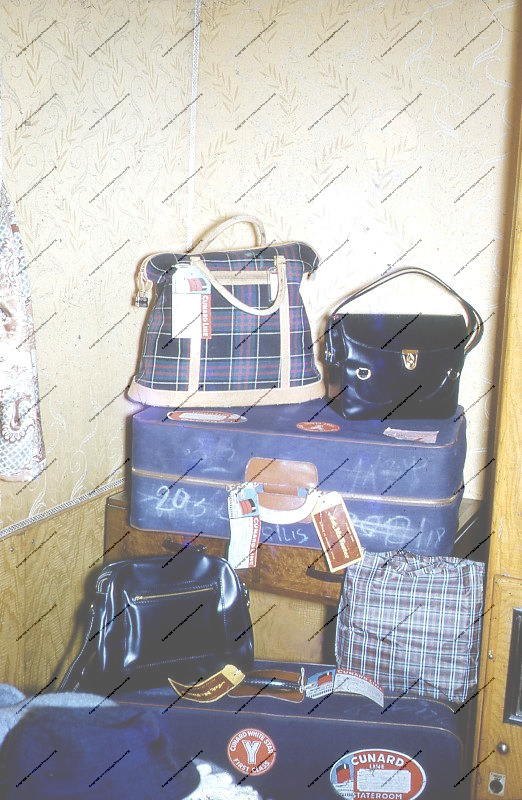 It is 1952 and there is no restriction on the amount of luggage one can bring on board. 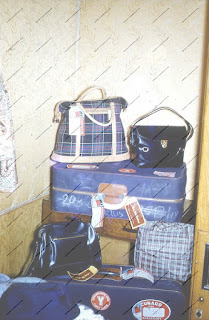 However some took this to excess, to such an extent with the Duke and Duchess of Windsor who traveled with such amounts of luggage that, the story goes, Cunard hinted that perhaps they may wish to travel with less. The Duke and Duchess then transferred their allegiance to United States Lines. However there may have been other reasons for their shift in loyalty. The SS United States won the Blue Riband (in 1952 at nearly 40 miles per hour which is FAST for a liner!) and as a sea crossing was the only practicable way of getting across the Atlantic in the early fifties it made sense to travel on the fastest possible ship. Also, living in France, Cherbourg was a more convenient boarding point now that they were no longer welcome in Britain. I am not sure when (or if) the Luggage story occurred as Edward abdicated in 1936, but was still using Cunard in 1940 - at least to send luggage ahead, as 14 pieces were unloaded from the RMS Britanic in New York with no sign of the Duke on board. While we are crossing on the RMS Queen Mary this time, we will possibly use the SS United States on a future crossing. The next few entries will be images of the USA from the past, starting with a familiar icon - or so it may seem to begin with.